A police chief is urging company bosses in North Wales to follow the example of the Timpson shoe and watch repair chain by giving offenders a second chance. 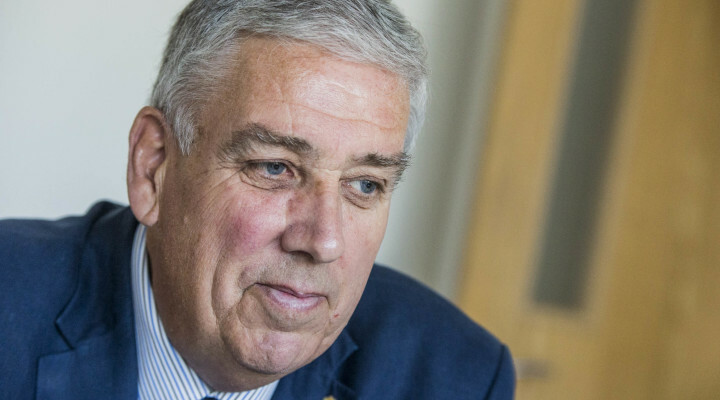 According to North Wales Police and Crime Commissioner, Arfon Jones, recruiting people with convictions can have a positive impact on their businesses by giving them access to a new talent pool. Mr Jones’s comments came during an address to the North Wales Business Club at the Quay Hotel and Spa in Deganwy. The commissioner pointed to the success of companies like Timpsons who employ ex-offenders and he urged bosses not to adopt a blanket exclusion for people with convictions. Instead Mr Jones called on them to support the Ban the Box campaign to remove the criminal tick box from application forms and to ask about candidates’ criminal convictions later in the process. Campaigners have been given renewed hope after a landmark judgement in the Supreme Court which could lead to a review by the Home Office. The court ruled that the current requirement for all previous convictions to be disclosed, however minor, where the person has more than one conviction, and in the case of any warnings or reprimands issued to young offenders was disproportionate. The court also ruled that it was in breach of article 8 of human rights laws which entitle people to a private and family life. Taking a positive approach to employing people with a criminal record would, the commissioner believes, help reduce reoffending which is a key priority in his Police and Crime Plan. Mr Jones said: “Employers who focus on criminal conviction on their application forms may well be excluding people from jobs that they may be very well qualified and capable of doing, in fact they may be missing out on a talent pool of over 10.5 million people with criminal convictions. “What I, David Cameron and the charity Unlock are working on for you as potential employers to Ban the Box – remove the criminal record tick box from your application forms and ask about your candidate’s criminal convictions later and avoid the interviewers ‘unconscious bias’. “Ex-offenders are often rejected for jobs out right because of their past. Of course, I want businesses to know who they are interviewing. But here’s my question, should offenders have to declare it up-front, or might this be done a bit later or before an actual offer of work is made? “So that is what the Ban the Box is all about – giving your job candidates the opportunity to state their case without the unconscious bias of ticking a previous conviction box influencing your decision. “Not only will his decision give your business an advantage in a greater pool of employees but it will reduce the pool of disaffected offenders retiring to a life of crime because they are not trusted to turn over a new leaf and given a second chance. “Many large companies do give offenders a second chance, Boots, Barclays and the Civil Services to be first a few not to mention the creditable work that Timpson have been doing in this area for many years. “Ban the Box gives people the confidence and motivation to apply for jobs in the first place. “They know they have a chance because they will be judged on their skills, strength and experience first, rather than their past. “Businesses can’t afford to ignore the diverse talent of applicants with criminal records. With a job, people become tax-payers rather than burdens on the state. Following the decision in the Supreme Court, Christopher Stacey, co-director of Unlock, a charity for people with convictions, which intervened in the case, said: “This is an important ruling which stands to affect many thousands of people with old and minor criminal records who have been unnecessarily anchored to their past. “At a time when businesses are struggling to recruit, companies need to make sure they are welcoming a diverse range of applicants. “Over 11 million people in the UK have a criminal record and I welcome the focus by the Police and Crime Commissioner in North Wales to encourage companies to look at people with convictions as an untapped talent pool that can benefit their business.